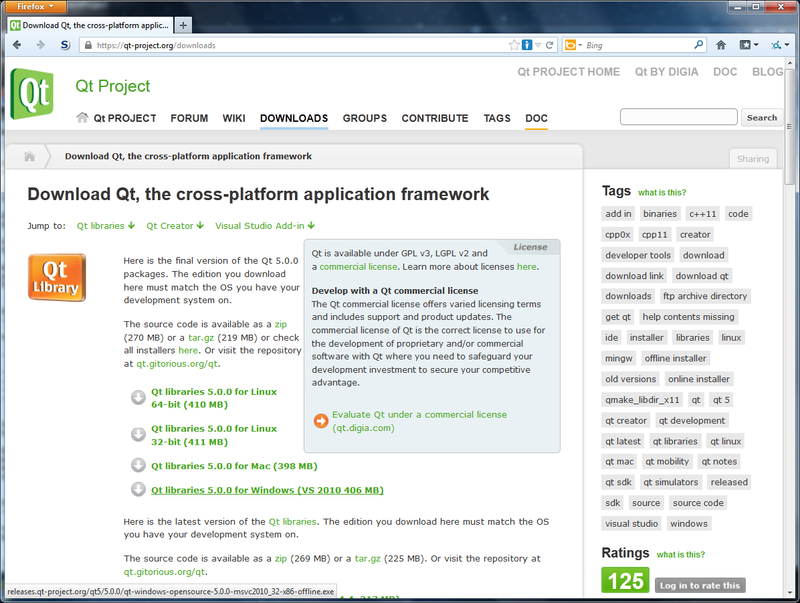 For Windows XP, the Qt support documentation currently lists two different options, namely Microsoft Visual C++ 2010 and MinGW. 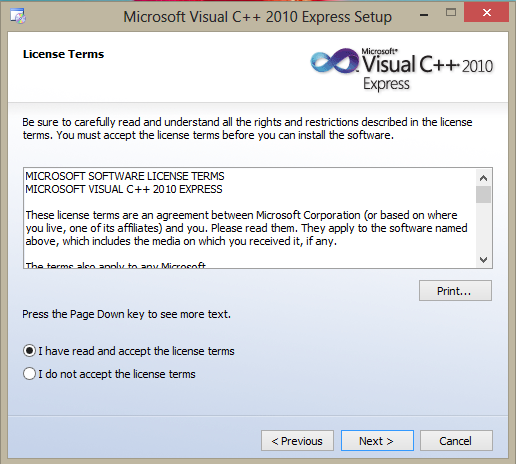 If you have installed Microsofts Service Pack 3 for Windows XP, you also should be able to install and use Visual C++ (Express) 2010 on Windows XP. 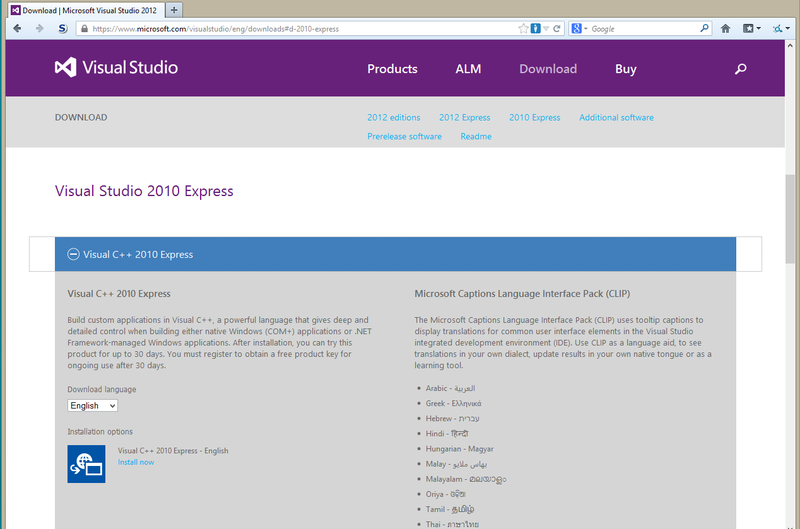 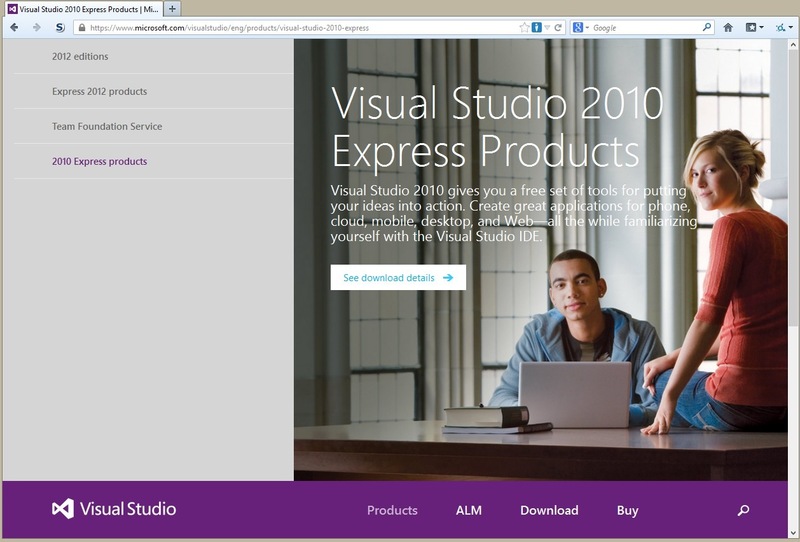 According to Microsoft, it should run on XP SP3. 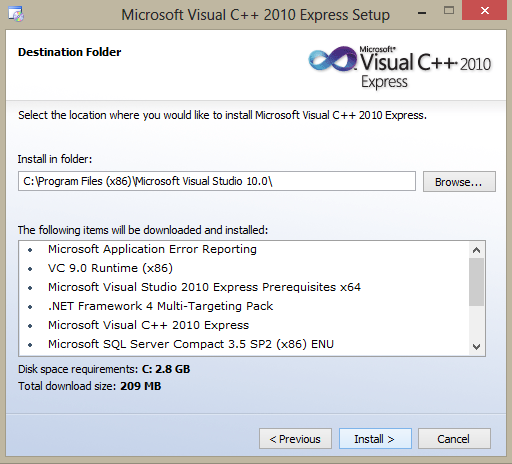 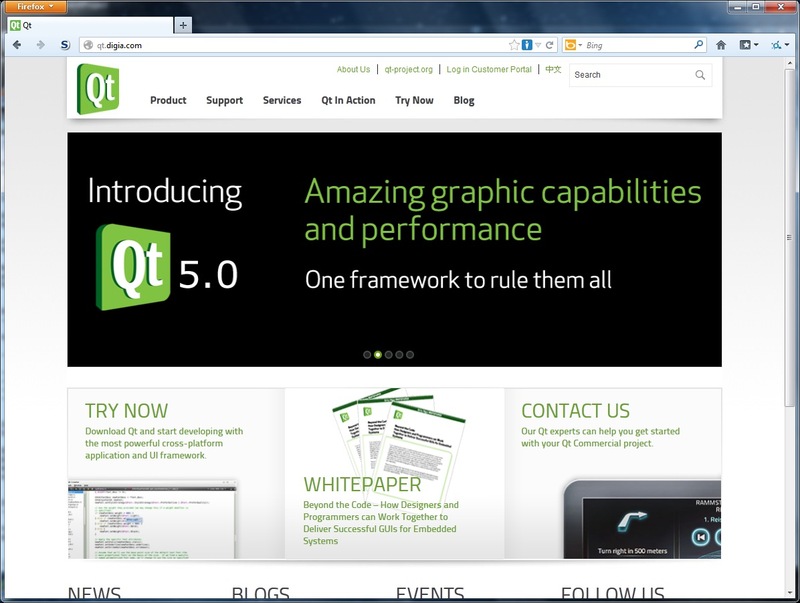 However, if you are experiencing problems with the Qt development environment using this option, you should uninstall Visual C++ (Express) 2010 and install version 2008 or the MinGW tools instead. 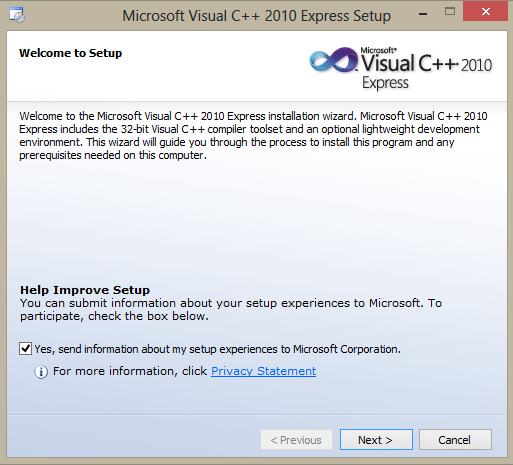 If you chose to install MinGW on your Windows XP system, you have to start the installation program just like with Visual C++ 2010 Express. 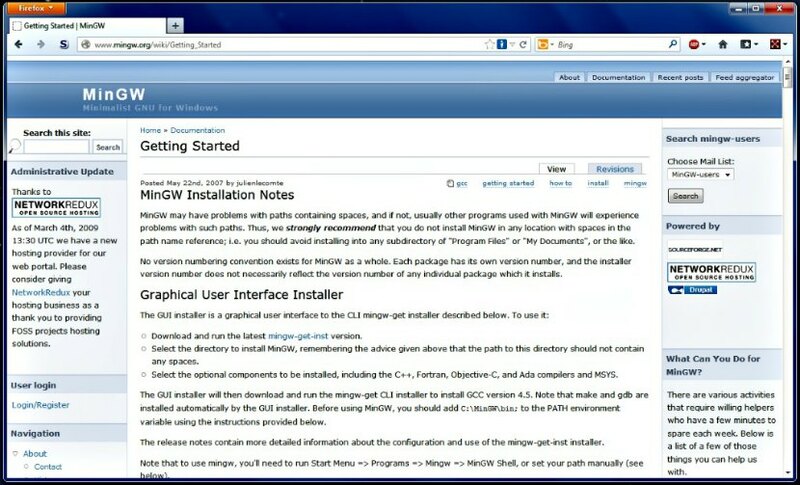 The only difference lies in the name of the installation program ("mingw-get-inst" for the graphical installer) and the online servers it connects to, apart from the different directories used for the installation. 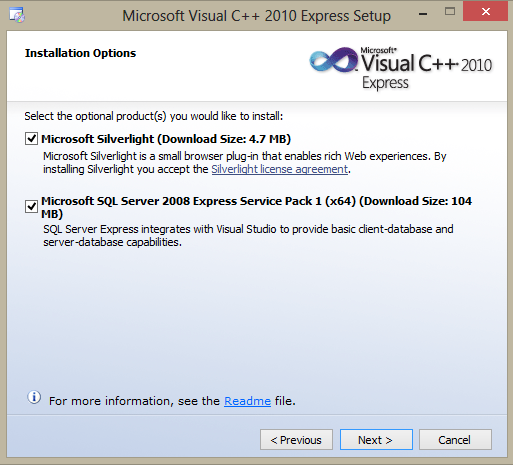 You can also manually install MinGW following the description on the "get started" page, but this is not really necessary. 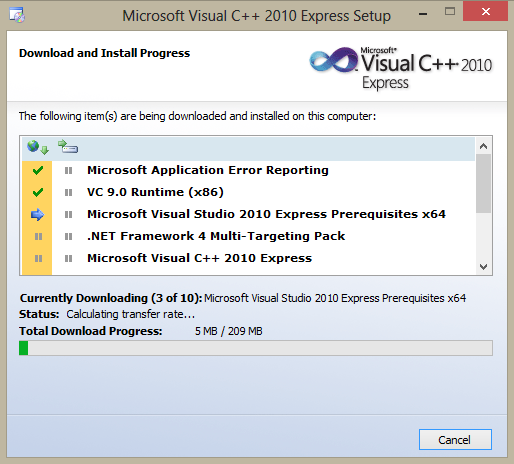 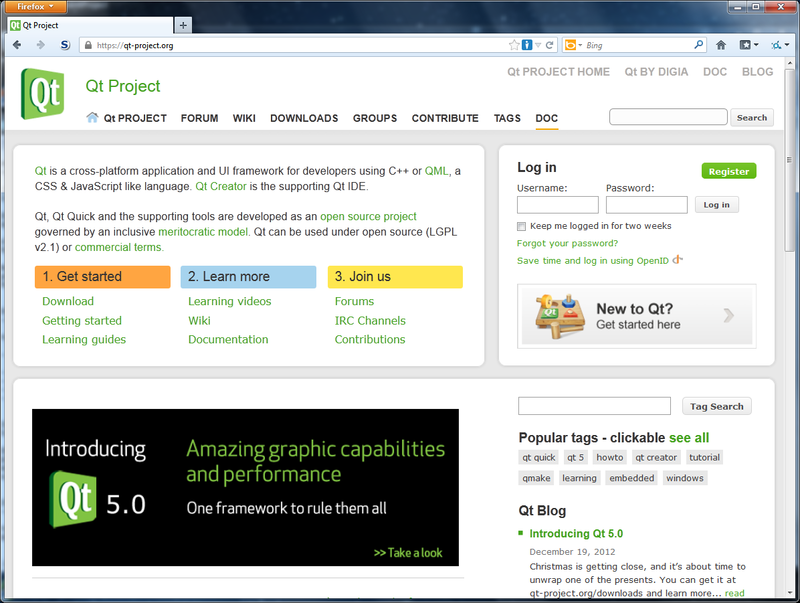 After the C++ and Qt development tools have been downloaded and installed, you can continue to step number seven for a short test that will confirm if everything has been installed correctly.